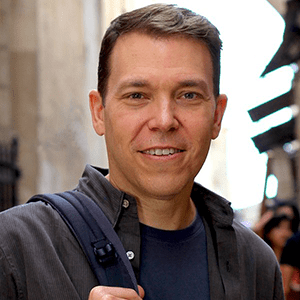 Created by best-selling author Bruce Feiler with Dr. Ellyn Bader and Dr. Peter Pearson, this Return to Eden study guide is designed to be used with Bruce's latest book, The First Love Story: Adam, Eve and Us. The guide takes lessons from the story of Adam and Eve and weaves them into a practical guide to provide fresh perspectives and hands-on exercises to help you think about, enrich and improve your relationship. Whether you’re a newlywed, a happily married couple or partners with unresolved disagreements, this guide will help you. It’s designed to be used in group discussions to share fresh, powerful insights with others in a safe, supportive environment, or to be used privately with your partner to explore these topics and exercises in a more intimate setting. Once you request the study guide below you’ll also find a convenient link to purchase the book if you haven’t already. 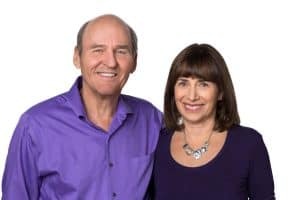 Dr. Ellyn Bader and Dr. Peter Pearson are co-founders of The Couples Institute and creators of The Developmental Model of Couples Therapy, a model that teaches therapists how to diagnose, intervene and significantly help troubled relationships. Together they directed The Couples Institute until Pete retired as a licensed psychologist in 2018 and Ellyn became the sole director. Pete and Ellyn are authors of two books, In Quest of the Mythical Mate: A Developmental Approach to Diagnosis and Treatment in Couples Therapy and Tell Me No Lies: How to Face the Truth and Build a Loving Marriage. They have been featured on over 50 radio and television programs including The Today Show and CBS Early Morning News, and they have been quoted in countless publications including The New York Times, Oprah Magazine and Cosmopolitan. Ellyn and Peter are unusual among couples therapists in that they are a couple themselves, and have confronted many of the challenges that they write and speak about. His latest book, The First Love Story: Adam, Eve, and Us, is a revelatory journey across four continents and 4,000 years exploring how Adam and Eve introduced the idea of love into the world, and how they continue to shape our deepest feelings about relationships, togetherness, and social cohesion. “Feiler’s best work yet,” said Publishers Weekly. A native of Savannah, Georgia, Bruce lives in Brooklyn with his wife, Linda Rottenberg, and their identical twin daughters. For more information, please visit www.brucefeiler.com.